May this year be even better than the ones before! Ah yeah far notes are still something I am getting used to with some songs I am learning. Odd that it's sounding out of tune; Do you have sheet music or are you going by ear? but I still greatly enjoy an easy going game of Team Fortress 2. I mainly listen to Video Game music, as I love music with a strong melody and narrative. As for favorite genre... I am not really sure. Topic: Play Overwatch like a pro, and receive a paycheck! Re: Play Overwatch like a pro, and receive a paycheck! Esports do certainly seem to be getting bigger. Ccgr also played it for the review, though other than her, I am not sure who else has played it. although just these past few months I have been watching quite a bit of anime, due to friends and family suggesting some series. Though it would be good to know what series you both like before I suggest anything. I am feeling quite motivated to get more games at perfect status. 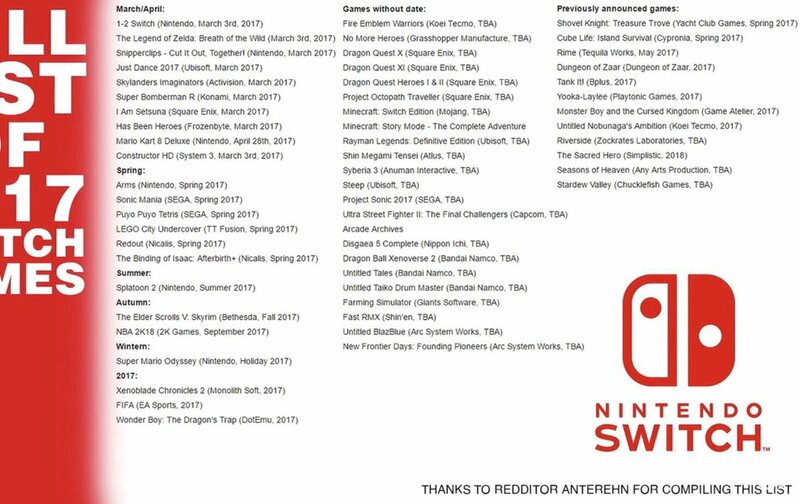 Looks like a list of currently announced games has been made. I must say, it's nice to see Bomberman get a new game!